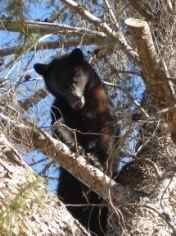 Hunters and other members of the public are advised that amendments to the Arizona Game and Fish Commission's Article 3 rules (governing the taking and handling of wildlife) will take effect July 1, 2013. Some of the changes include prohibitions on the use of "bait" for attracting or taking big game; restrictions on transport and import of cervid carcasses (which includes deer and elk carcasses) into Arizona; allowance of the use of pneumatic weapons for hunting; and other topics. These amendments were developed during the rules review process that included a public comment period, and they incorporate recently passed legislation. The commission's Notice of Final Rulemaking on the amendments was recently approved by the Governor's Regulatory Review Council. For an overview summary of the amended rules, Summary of Amended Hunting Rules. To view a full copy of the amended Article 3 rules, Full Copy of Amended Article 3.